Hello friends! Did you have a good weekend? Mine was fabulous. I continue to find more time for sewing and that makes me super happy. A couple weeks ago I finished this happy quilt. The pattern is called Wind Mill; I found it on Pinterest. I used the photo for inspiration but I designed my own block sizes. The fabric that I sued was the leftover scraps from my Modern Plus Quilt II I finished a while ago. The original quilt I gave it to a dear friend who lives far away and I don’t get to see very often. So It feels kind of nice to both have quilts made from the same fabric. The quilt fined at a nice 48X48 inches; great for a lap quilt. 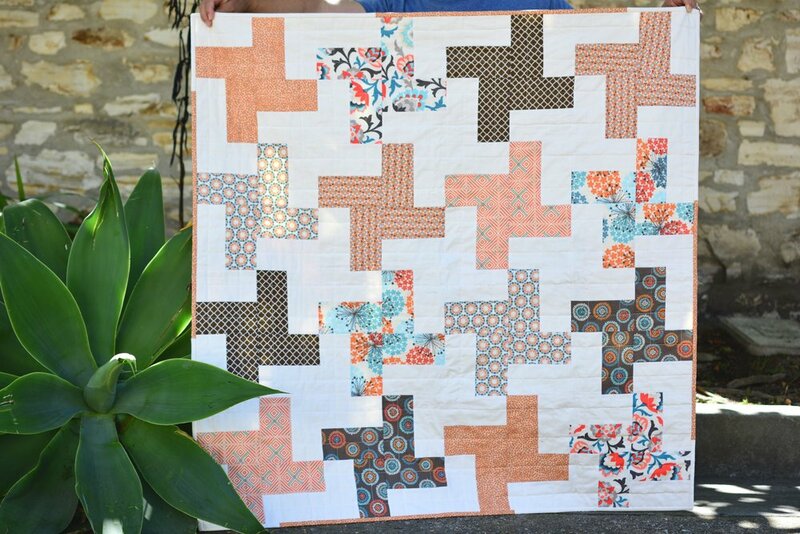 For this quilt I used muslin in natural color that I had in my stash. This is was a first for me and I quite like it. 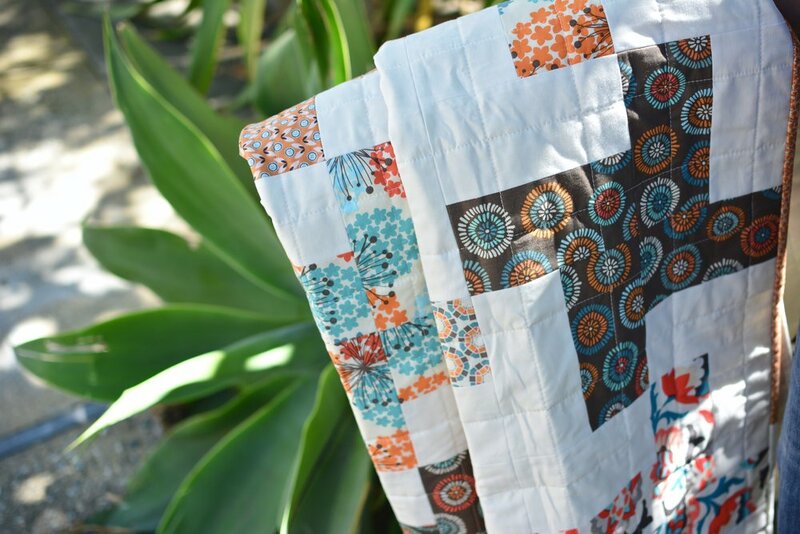 The end result is a light and airy quilt. I haven’t washed it yet, so I have yet to see have it washes up and how much it shrinks compared to 100% cotton. 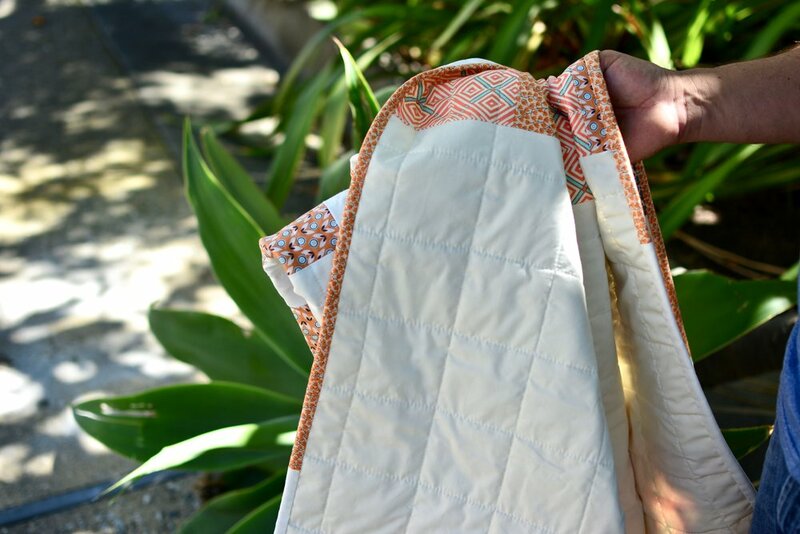 Have you ever used muslin fabric to back your quilts? What is your experience?